Two pages in the "Everything Malcolm Miller" thread. Goodbye Malcolm, we hardly knew ya'. Good luck. He's technically a two-way RFA so we could definitely see him back next year. And is also technically still on the team until June 30th. He just can't be on the active list - ie can't play in any games. He can still travel and practice with the team. Well that is encouraging. He could still develop and he has the physical attributes. Who knows what a serious summer of work could do for him. I take it that the Raptors staff couldn't work with him unless they signed him after July 1st. The Raptors plan to sign Malcolm Miller to a multi-year contract, per a source. Reality TV series. Sign me up. Netflix? man organization did right by him. With all the Demar drama and hurt feelings at the beginning of the season -- I thought how management took care of Miller was really indicative of how this is indeed an organization with a conscience and a sound moral compass. Demar needed to go after the way last year ended. But they could've easily cut bait on Miller when he got injured, and he could've been totally fucked, without even an income to help himself rehabilitate. But instead they worked out a contract so he could stay on and use the Raps facilities resources and come back to health. I mean I guess they must've always had belief in him to give him a contract this close to his return from injury. In any case, great story and good for him. Hopefully he can drain them 3s like he seemed to be doing a pretty good job of last year in limited minutes with the big club. Good for Malcolm. This looks good on the team and will be noted by young players trying to make good. 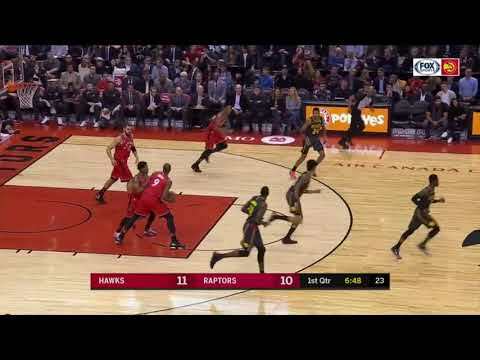 Raptors already seem to have a great "player development" reputation around the league. Is there a bit of a movement towards not entering the draft if you anticipate being drafted late in the second round? It seems to me several players have held off entering so they could secure a better deal as opposed to settling for a mandated lower salary. Didn't Fred negotiate something along those lines? Could that kind of thinking benefit the Raptors? His defense on Dipo was so good. Of all the G League/two way/10 day guys over the past couple seasons, Miller looked like the guy with the most real NBA potential to me. Hope this works out for everybody. Is he better than Malachi?